When Roald Dahl said, "I am an old man full of metal," he wasn't kidding around. "The head of my femur (that's the large round bone of the hip joint) has been sawn off on both sides and a fearsome stainless-steel spike with a ball on top has been hammered into the hollow of my thighbone and glued into place." "What on earth, you will ask, has all this got to do with writing books for children? Quite a lot and I'll tell you why. It turns the body into a rickety structure and a rickety structure is no good for climbing trees or going for long walks. It prefers to be sitting comfortably in an armchair with a writing board on the lap and the feet resting on a suitcase. Thus it encourages my work and the only work I know is writing books." Roald Dahl was born in Wales in 1916 and educated in English boarding schools from the age of nine until twenty. During World War II, he was a Royal Air Force fighter pilot in North Africa and Greece. When his active duty was completed, he was transferred to Washington, D.C., where he was asked to write about some of his adventures. "A Piece of Cake," his first published work, was an account of a fighter plane crashing in Libya. His first piece of fiction was called "The Gremlins," a story about little creatures who make trouble for the Royal Air Force by drilling holes in the planes and wreaking general havoc. Fifteen years later, Roald Dahl found himself telling bedtime stories to his children over and over again, and those were the basis for James and the Giant Peach, his first published children's novel. After that came Charlie and the Chocolate Factory, to be followed by many others, including The BFG, The Witches, and Matilda. Every book of Roald Dahl's was written in a little brick hut in the apple orchard about two hundred yards away from his home. He wrote them all in pencil ("I never could type"), sometimes with an old sleeping bag wrapped around him, since there was only a paraffin stove to heat the drafty hut. "When I am up here," he said, "I see only the paper I am writing on, and my mind is far away with Willy Wonka or James or Mr. Fox or Danny or whatever else I am trying to cook up. The room itself is of no consequence. It is out of focus, a place for dreaming and floating and whistling in the wind." I have a passion for paintings and have collected them for many years. I make good orange marmalade. I breed orchids and am a keen gardener. I eat lots of chocolate. The only dish I have never eaten is tripe. I would like to have been a good doctor. I have had eight major operations, three on the hips, five on the spine, and countless smaller ones. Kindness is more important than piety. I wish my dog could talk to me. 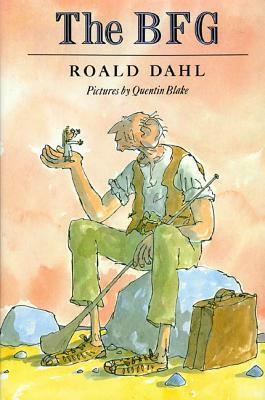 More can be learned about Roald Dahl in his autobiographical Boy: Tales of Childhood and Going Solo, as well as in the chapter called "Lucky Break" in The Wonderful Story of Henry Sugar and Six More. Roald Dahl died in 1990 at the age of seventy-four. Although the world lost one of its most beloved authors, what he has left behind is a rich library of wonderful tales for children of today and tomorrow to discover and enjoy.